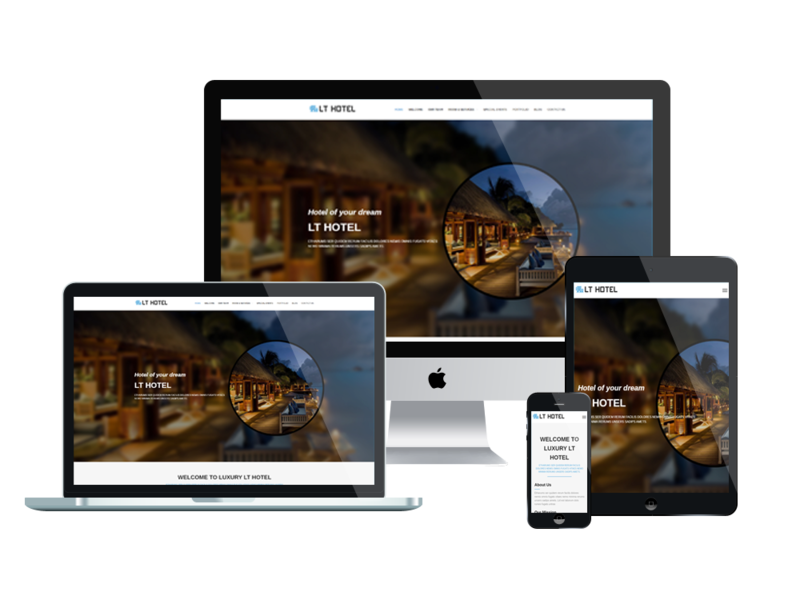 An amazing One Page Hotel WordPress theme to showcase how attractive is your accommodation to more visitors and increase bookings! 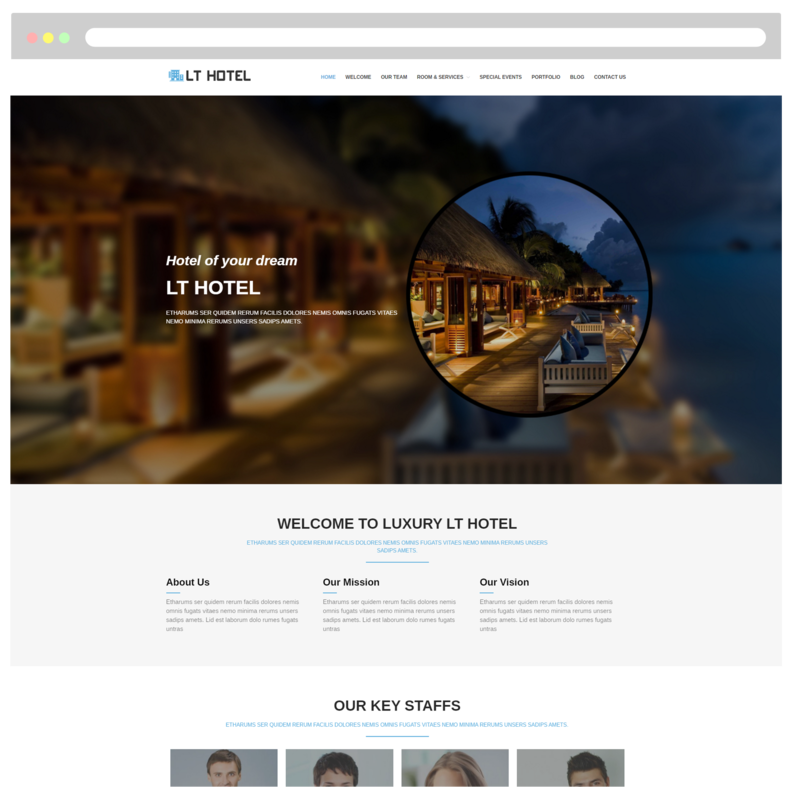 LT Hotel Onepage is a free single page version of LT Hotel WordPress Theme (multi-page). This luxurious theme comes with a royal and elegant design that is very suitable to perform the services, promote the marketing and establish a brand for your hotel. It is packed with features that hotel website might need such as a services section, special event, promotional prices, etc. LT Hotel supports fully responsive layouts to ensure your website will look great on any screen size of all mobile devices. 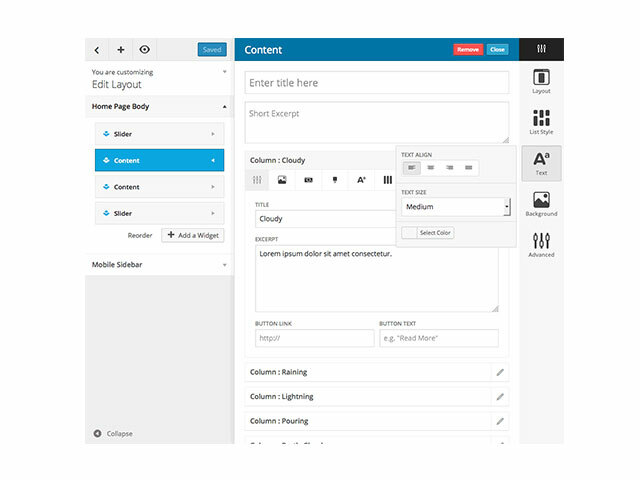 In addition, it comes with lots of really useful built-in features such as strong shortcode, drag-drop layout content, Bootstrap CSS & Hybrid framework… ready to help you easily customize the design and give your website that unique look. An amazing website can attract more visitors and increase your bookings!